Analogue Watch. Display Type analogue. 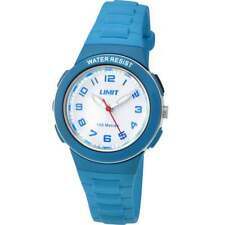 Casio LA-670WL-2A ladies Leather strap watch Waterproof: 3 ATM. Manufacturer Casio. Product Type: Wrist Watch. Band Material Leather. Glass Material: Plastic. Sterling Silver. One of TJC’s founding principles is to do the right thing and our One for One charity ensures we do just that! We follow catwalk styles to make sure we can bring you the latest fashions. One of TJC’s founding principles is to do the right thing and our One for One charity ensures we do just that! We follow catwalk styles to make sure we can bring you the latest fashions. Sterling Silver. HI THIS IS A LOVELY ITEM ITS IN GOOD WORKING CONDITION. This is a delightful ladies manual wind dress Swiss made match made Louis David. It features white waterproof leather strap, white face and gold colour case. This watch keeps time very well and is in an overall very good. Should you have further queries, please do not hesitate to contact me. Thank you. Please take a look at my other items. Warmly, Trishia. 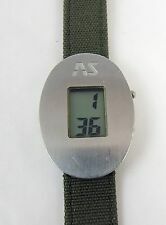 Accurist ladies Wristwatch. Elegant ladies watch-. Silver colored watch hands and bracelet. Bracelet style. the face has pink / blue overtones. Manufacturer's reference: ADP6064. Model number adp6064. Watch features: Grey dial. Easy to read dial. Plastic case. Pink plastic strap. Self adjustable links. Buckle clasp. Model number ADP6018. With a crisp, White case and strap and a positive digit display, the classic Furano gives you a fresh look. Watch features Case width 36mm. Plastic case. Digital display. Water resistant to 5m. Resin case. Resin strap. Warranty Policy. The watch is in good shape (working) and has been professionally cleaned with a new battery. ---ALL PICTURES ARE OF THE ACTUAL ITEM YOU WILL RECEIVE - - -. With a crisp, pink case and strap and a positive digit display, the classic Furano gives you a fresh look. Watch features pink plastic adjustable strap. Scratch resistant glass. Plastic case. Case width 36mm. MPN: TW5K86500. The unmistakable design of these watchmaking masterpieces doesn’t pass unnoticed. Practical and dynamic, they are ideal for any occasion, from jogging in the park to more formal situations. Type: Wristwatch. Gender: Girl's. Date Indicator. Month Indicator. Glass: Acrylic - can be polished. Weight : 25 g - very light. Case size: 44 x 28 x 12 mm. Case colour : Red. A CASIO unisex wristwatch with resin case. Casio has been a leader on the market since its foundation in 1946. Gender: Unisex. Functions: Multifunction. Why buy from us. Water Resistance: 3 ATM. A CASIO unisex wristwatch with resin case. Casio has been a leader on the market since its foundation in 1946. Gender: Unisex. Why buy from us. Fossil watches. Analog & Digital. Analog: 3 hands (hour, minute (hand moves every 10 seconds), second). Case / bezel material: Resin. Resin Band. Step Count History, Step Count Graph, Step Goal Progress. Features Jump Hour. Watch Shape Oval. Was working great, the battery will need changing. The leather strap shows it age and has crackling wear on the top side. On the under side of strap the leather looks good. Accessories & Tackle. Casio Watch. CASIO EDIFICE. CASIO SHEEN. CASIO G-Shock. CASIO Baby-G. CASIO PRO-TREK. Casio Clock. Casio Watch. CASIO EDIFICE. CASIO SHEEN. CASIO G-Shock. CASIO Baby-G. CASIO PRO-TREK. Casio Clock. Fossil watches. The G-SHOCK ultra-popular watch 110 is used as a base model, while the GMA-S110MP is designed with a deep pink tone and a 46mm caliber. Fossil watches. Year of Manufacture. Modern (2000-present). Case / Bezel / Strap Material: Resin. 6 area radio receiving correspondence. Shock structure. Model Casio G-SHOCK GWM5610-1. Features Alarm. Features Shock Resistant. MPN GWM56101. EAN 79767966140. Band Material Resin. Casio Watch. CASIO EDIFICE. CASIO SHEEN. CASIO G-Shock. CASIO Baby-G. CASIO PRO-TREK. Casio Clock. 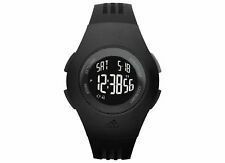 The result is four layers that make this watch as attractive as a bangle or other fashion accessory. Accessories & Tackle. Resin Band. Case / bezel material: Resin. Fossil watches. Analog & Digital. Analog: 2 hands (hour, minute (hand moves every 20 seconds)), 1 dial (speed). Shock Resistant. Band Material. MPN: R3251173615. Although many models have a purely sporty character, there are others that stand out for their elegance and versatility. Appreciated by the male and female world, they adapt perfectly to a dynamic and adventurous lifestyle. Accessories & Tackle. Night light stick. Fossil watches. Shock Resistant. Two-Piece Strap. 12/24 hour formats. 1/100 second stopwatch. 200 m (20 ATM). Accessories & Tackle. Resin Band. Case / bezel material: Resin. Fossil watches. Band Material. Two-Piece Strap. Modern (2000-present). Analog & Digital. Vintage ladies Casio Lithium watch Module # 401 L-9 Made in Japan 1980 s.